The independent Local Government Boundary Commission for England has published its final recommendations for new electoral arrangements for Warwick District Council. Today’s publication follows three phases of public consultation and draws new boundaries for each council ward across Warwick. Professor Colin Mellors, Chair of the Commission, said, “We are extremely grateful to people across Warwick who took part in the review. The Commission has looked at all the evidence that was put forward during each stage of consultation. In response to local feedback during consultation, the Commission has changed the proposals it put forward in April. For example, local people and organisations objected to the Commission’s recommendations in Leamington Spa and argued that they divided the area of Lillington between Leamington Milverton ward and Leamington North ward. In response to the evidence presented to it, the Commission has changed its proposals so that the whole area is included in a renamed Leamington Lillington ward. Elsewhere in the district, the Commission has made a minor change to its proposed boundary between Aylesford and Saltisford wards so the division between them is more identifiable. The Commission has also renamed its proposed Warwick Woodloes ward as Warwick All Saints & Woodloes ward. 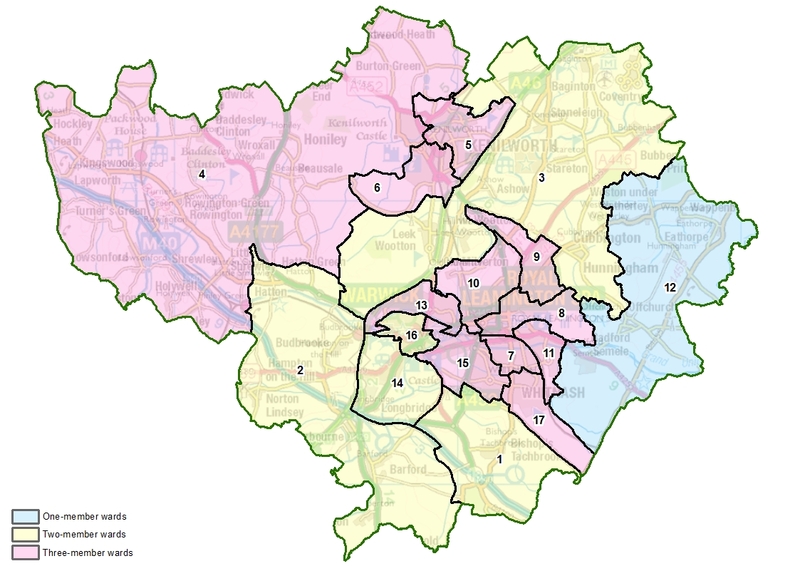 The electoral review of Warwick District Council is a separate undertaking from the review of parliamentary constituency boundaries which is being carried out by a separate body (Boundary Commission for England) under different rules and legislation. Full details of the Commission’s final recommendations (including maps) can be viewed at: https://consultation.lgbce.org.uk/node/11081.